I am Suresh Patil. I am a law student. 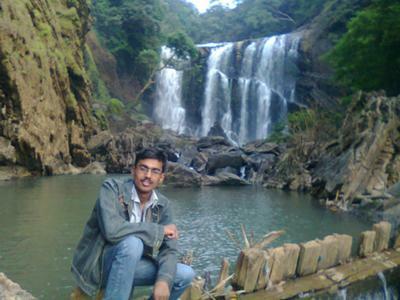 I and my 7 friends had visited the falls. We are all from Dharwad. We had gone there by bike. We had reached the falls about at 2o clock. When we reached there, many tourists are there and enjoying. We got tickets and gone there. What an amazing falls that is! We enjoyed a lot there. And leave at 7 clock at evening. Reached dharwad at 11 at night. It was a great experience. But one bad luck was one bike was become punctured, one person who is managing a hotel near Sathodi Falls helped us a lot by giving blowing pump. We are all thankful to him. Totally it was a wonderful experience.